When it came to writing this I was in two minds on whether this was really the place for it, as it’s far and away from my regular flippant subject matter. However it’s something I am genuinely passionate about and after having already done loads of prep for it……well you can chuffing well read it. Just a few weeks ago at the Sundance Film festival (the Mecca for showcasing promising Independent movies) the TimesUp organisation launched an initiative designed to increase the number of female directors working today. While the ratio of film school graduates along gender lines is roughly 50/50, the percentage of the top 1,200 grossing films in the last ten years is around 4%. 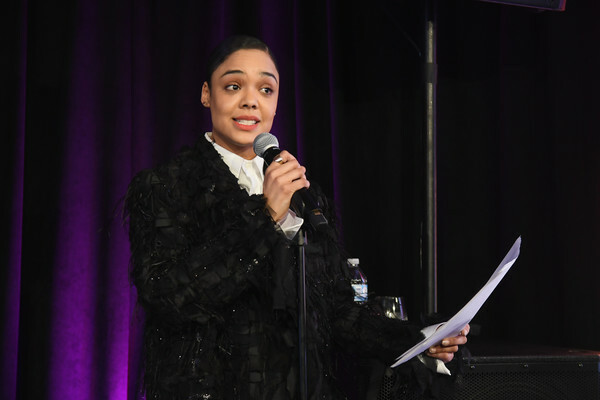 The response by TimesUp is the 4% challenge, announced at a panel and in a headline grabbing impassioned speech by Tessa Thompson. Under the initiative Thompson pledged to work with a female director in the next 18 months and challenged other actors and actresses to commit to doing the same. Thompson’s pledge was greeted positively as a great step forward. Talent, producers, agents and studios began pledging their support but unsurprisingly there were cynics who questioned if committing one film in an eighteen month period was that big of an ask (obviously from people who have no clue how long it takes to develop a film as if all movies are banged out in a weekend Roger Corman style). For my own part I was curious as to the current top movie stars and how many could say that they were already contributing to supporting women directors. To get an idea I decided to look over the films of the past five years of some key Hollywood talent to see how many had appeared in a starring role in a film directed by a woman. That five year period being three times the amount of time TimeUp was giving in their challenge. To do this I used the Forbes annual list of top earning actors and actresses from the last five years as a starting point which gave me a list of 27 actors and 22 actresses. The results were probably not surprising, but were rather telling on where things stand right now. Disclaimer: I obviously have limited resources so it’s possible I may missed some films here and there. Of those 27 highly paid actors only 6 had appeared in a film directed by a woman. These were George Clooney (Money Monster), Tom Hanks (Ithaca), Samuel Jackson (Unicorn Store), Mark Ruffalo ( Infinitely Polar Bears), Bradley Cooper (Serena) and the only one of the six to be in two films directed by women was Ryan Reynolds. Reynolds appeared in The Voices and Mississippi Grind, co-directed by Anna Boden and Ryan Fleck, the duo who have directed next month’s Captain Marvel. Not surprisingly the ratio fared much better when it came to their female counterparts. Of the 22 actresses feature on five years worth of highest paid lists, 16 appeared in films directed by women, but of those only two appeared in more than one. The two were Natalie Portman (Planetarium and her own film A Tale of Love and Darkness) and Reese Witherspoon who appeared in three female directed movies (Hot pursuit, Home Again and A Wrinkle in Time). Stepping away from the highest paid stars I decided to take a look at the more critically acclaimed actors and actresses. To do this I compiled a list of all the Oscar nominated actors and actresses in the last five years (including the recently announced nominees for this year) both in the lead and supporting categories. Not counting those already covered in the best paid section I had a further 33 actors and 34 actresses to work with. For some reason I expected that the results would see a higher rate for those who’d appeared in a film directed by a woman in the last five years. I guess I had a presumption that Oscar nominated talent would have a more creative and diverse catalogue of screen credits. Despite the larger pool of talent to work through the base amount was not significantly higher. Of the 33 actors only 10 had worked on a female directed film. Of those 10 only 4 had appeared in more than one, those being JK Simmons, Richard Grant, Sam Rockwell and breaking the scale was young Timothee Chalamet for appeared in four female directed films having worked on small independent films before breaking through with his Oscar nomination for Call me by Your Name. Once again the number of actresses in female directed films was larger, but of those 34 Oscar nominees of the past five years they only just managed to get over half of that number, with a tally of 18. Only a third of that number joined the more than one club, with this six being Michelle Williams, Alison Janney, Laura Dern, Marion Cotillard, Nicole Kidman with three (including the excellent Destroyer which is still at cinemas as I write this) and another young un breaking the scale is Saoirse Ronan with four movies. So with a combined tally, we have 16 out of 60 actors and 34 actresses out of 56 who in the last five years have featured in a film directed by a woman and of that 116 total only 18 could claim to have appeared in more than one film. This isn’t to appropriate blame or condemnation for those with zero appearances as there are is a question of the timing and opportunities on offer to actually work with female talent. But it does show the importance of this initiative. If the big names in terms of box office and awards commit, it pushes the studios to give female directors a chance with the incentive of getting the stars (and good publicity) in their films. Alternatively if they were to go for the independent route by pledging to work with a woman director on a small film that could incite much needed funding for a project in the same way that Harvey Keitel’s involvement in Reservoir Dogs meant Tarantino went from making a $30,000 film to having $1.5 million to play with. As a film fan I’m excited to see how this plays out in the coming years. In 2018 I saw some incredible films directed by women, two of which “Revenge,” and “Leave no Trace,” were included in my top eleven movies for the year. But there were others such as the beautiful “Skate Kitchen,” “You were Never really here,” “Dark River” all of which were so rich and different. I also really enjoyed the comedies “Blockers” and “The Spy who Dumped Me,” (yes I did, sod off). I’m not saying that just by having a woman directing a film means it will be automatically a win (The Bookshop bored the hell out of me), but film audiences should crave original and exciting films and the way to achieve that is to present diverse voices in terms or gender, race, sexuality, class, background, life experience in cinema. And at a time when the theatre going experience is under threat from a future of increased on line streaming, we’re going to need to attract audiences from all elements of society. Below I’ve listed the actors and actresses that I have covered and the female directed movies they’ve appeared in the last five years. It’s enlightening in it’s own way, as you’ll be forgiven for not being aware of most of these films. The only really big budget productions amongst them that got trusted to women were Wonder Woman and Wrinkle in Time. Hopefully in the next through years with the support of the people who can wield the power for change in the film community, we may get to see women helming action, horror, sci fi and a variety of genres. And ultimately it will also be down to us the audience to support these films by seeing them on the all important opening weekend. In the meantime I urge anyone interested to check out the #52filmsbywomen challenge on twitter to watch a film directed by a woman a week. It’s a positive movement just like anything that introduces you to the possibility of discovering films you never knew about but are going to love. Because at the end of the day, films should have a positive impact on our lives. Reese Witherspoon: Hot Pursuit by Anne Fletcher, Home Again by Haille Meyers-Shyer, Wrinkle in Time by Ava Duvernay. Natalie Portman: Planetarium by Rebecca Zlotowski, Tale of Love and Darkness by Natalie Portman. Saoirse Ronan: Stockholm, Pennsylvania by Nikole Beckwith, Loving Vincent by Dorota Kobiela (co-director), Lady Bird by Greta Gerwig and Mary Queen of Scots by Josie Rourke. Michelle Williams: I Feel Pretty by Abby Kohn (co-directed), Certain Women by Kelly Reichardt.